Cape Cod Addition » Add additional living space to a home by building new space onto the existing structure or adding a new attached or detached building. 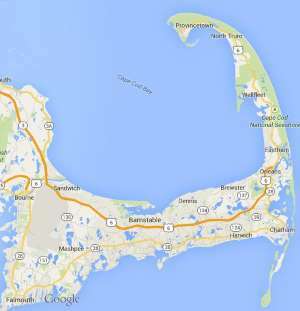 Free estimates from local Cape Cod addition companies. Get quotes on your addition project in Barnstable, Brewster, Bourne, Chatham, Dennis, Eastham, Falmouth, Harwich, Mashpee, Orleans, Provincetown, Sandwich, Truro, Wellfleet or Yarmouth, MA. Add additional living space to a home by building new space onto the existing structure or adding a new attached or detached building. If building permit is accepted, I want to build a 20 x 14 family room off the rear of the home. I would most likely do a 4 foot foundation with a vapor barrier. Need quote on excation work and foundation work. Home is located in West Hyannisport. we would like to add a heated sun room to our house. Add a 8x12 ft addition attached to home. To add 100 sq ft to master bedroom.job includes set foundation on pilings , frame and finish outside of addition. No work for inside. Will finish later. We would like to add on a 1garage that is extra deep by about 10 feet (currently 2 car garage) with finished space above the garage to be master bath and closet area. The master (although no bath) is above the current 2 car garage. We also want to add a deck (2d story) off the master bedroom. Lastly, we want to add roughly a 10 X 15 room behind the current garage and tie it to the current open room (it would be an office).